I’ve been asked this more than a few times while selling my confections at various local markets. It’s a good question because it has made me realize that chocolate is kind of a mystery to a lot of people. I can understand why. The raw ingredient of chocolate doesn’t look anything like the finished product, and the journey in between is long and complex. It explains why my favorite book on the subject weighs about 10 pounds. But first, an even quicker primer on terminology. The term “cacao” is used when referring to the raw materials used in the chocolate-making process: cacao tree, cacao pods. “Cocoa” is used in reference to the products made from the cacao tree: cocoa butter, roasted cocoa beans, cocoa solids. So instead of “A Quick Natural History of Cocoa Trees” above, I should have written “A Quick Natural History of Cacao Trees.” Bonus points to anyone who caught this. All chocolate is derived from that wonderful, cocoa bean-bearing plant that goes by the Latin name Theobroma cacao. Cacao trees require a tropical climate so they’re mostly found right around the equator. Likely places to find a cacao tree include any of your tropical countries: Costa Rica, Vietnam, Peru, etc. Less likely places would be non-tropical areas such as Europe or Canada or Fircrest, WA. When mature, cacao trees produce pods with seeds inside, more commonly referred to as “beans.” However, cocoa beans bear little resemblance to the beans produced by plants of the legume family, such as peas. In my opinion, peas are much cuter. For one, they’re not covered in a bitter mucous-like pulp. Cocoa beans are. Also, peas are vibrant green and I can never resist gobbling them up before they even make it out of the garden. I wouldn’t be so tempted with a cocoa bean straight from the pod, not without letting it undergo fermentation first, anyway. Which brings us to the first step of the chocolate-making process. Fermentation: While the slimy pulp encasing the cocoa beans may be a turnoff to a lot of people, to certain bacteria, enzymes and yeasts, it’s like, well, a big helping of garden fresh peas. During fermentation, these three are allowed time to feast on the pulp, which eventually becomes liquefied and drains away. Meanwhile, chemical changes rage inside the beans, resulting in the development of pre-cursor compounds. Although pre-cursors don’t exhibit chocolate flavor at this stage, they become the bearers of chocolate flavor later on. Drying: Beans are allowed to dry. Winnowing: Shells are removed from nibs. Winnowing is not to be confused with whinnying. Or Pooh Bear. Grinding: Nibs are crushed to a paste, called chocolate liquor, consisting of just cocoa solids and cocoa butter. Have you ever wondered why chocolate melts so nicely in your mouth? It’s because cocoa butter melts at a temperature just slightly lower than the temperature of our human bodies. I take it as a sign that humans and chocolate were meant to be. Mixing: Depending on the manufacturer, other ingredients are often added to a batch of chocolate liquor, including sugar (to sweeten the bitterness), vanilla (because vanilla = yummy), additional cocoa butter (to make the chocolate less viscous, or more flowy in its melted state), milk solids (for flavor, or, since milk solids contain butterfat, as a substitute for expensive cocoa butter for cost-savings), or lecithin (again, to make the chocolate more flowy). Everything is mixed until all the components are blended nicely. Refining: Up to this stage, chocolate has a coarse, grainy texture due to the presence of particles that are big enough to be detected on a person’s palate. A batch is run through steel or stone rollers until the particles are shaved down to such a small size that they can no longer be detected by the average tongue, unless the tongue in question belongs to a baby hamster. For the rest of us, the result is a velvety, smooth, mouth-feel. Conching: Chocolate at this point still resembles a thick, crumbly paste with an undesirable sour aroma and taste that come from volatile acids, the by-products of fermentation. During conching, the paste undergoes a long treatment of agitation, heat, and exposure to oxygen. The volatile acids evaporate, as does excess moisture, and the chocolate emerges nice and fresh without sour taste, aroma, or attitude. Tempering and Depositing: Chocolate is brought through a series of carefully controlled temperatures while agitated, resulting in a product that sets with a uniform shine and a nice snap. The chocolate is then packaged. Passing Of The Torch: Manufactured chocolate makes its way into the hands of artisan confectioners and chocolatiers the world over. Ok, this isn’t an official step in the chocolate-making process, but it’s where I come in. 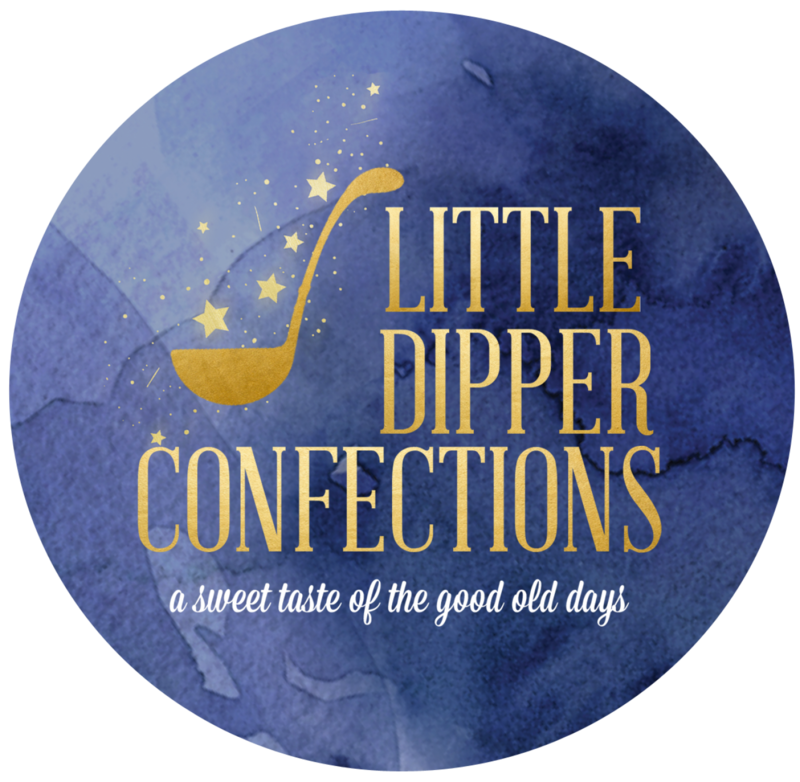 Many of my confections are hand-dipped in chocolate, which of course must first be melted. Here’s the tragic part. When chocolate is melted, it no longer remains in temper. Every single one of my batches of chocolate-enrobed candies therefore starts with the melting and re-tempering of chocolate. Tempering Revisited: Here’s what I didn’t mention earlier. Chocolate that hasn’t been properly tempered will set with unsightly streaks and grainy splotches called bloom. Although bloom alters the appearance of chocolate, it doesn’t affect its taste. Still, no one wants a box of handcrafted confections marred with imperfections, so practicing the art of tempering is an everyday fact of life for just about all makers of artisanal chocolates. Notice I said “practicing” and not “mastering.” That’s because not even folks who work with chocolate on a daily basis can ever really claim mastery. Chocolate tempering is a sensitive process that can be thrown off by about a million variables—temperature, humidity, and probably even blood moon events. I’d bet all my chocolate chips on it. All we can do is look forward to the next lunar eclipse as a reason to take the day off. Greweling, Peter P. Chocolates & Confections. Hoboken: John Wiley & Sons, Inc., 2013. The dreaded bloom. I’d still eat it.